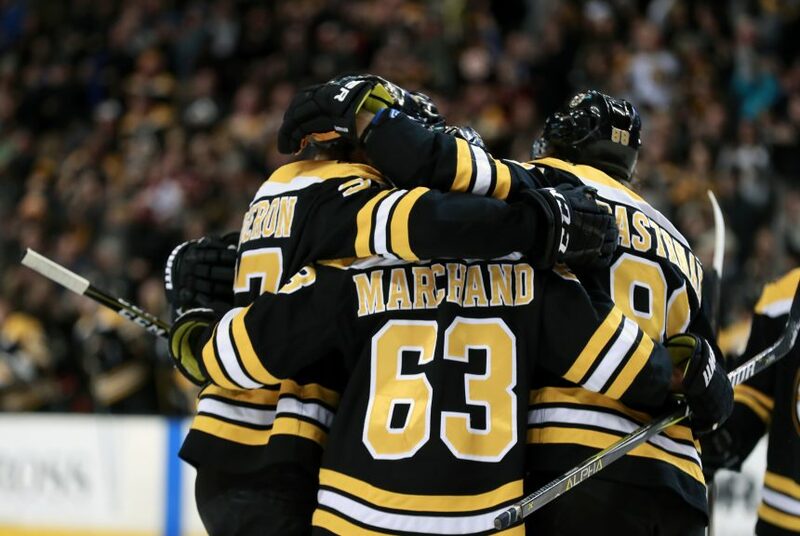 Point Shot: A great game from Marchand doesn't end with the right result for the Bruins - The Point Data-driven hockey storytelling that gets right to the point. 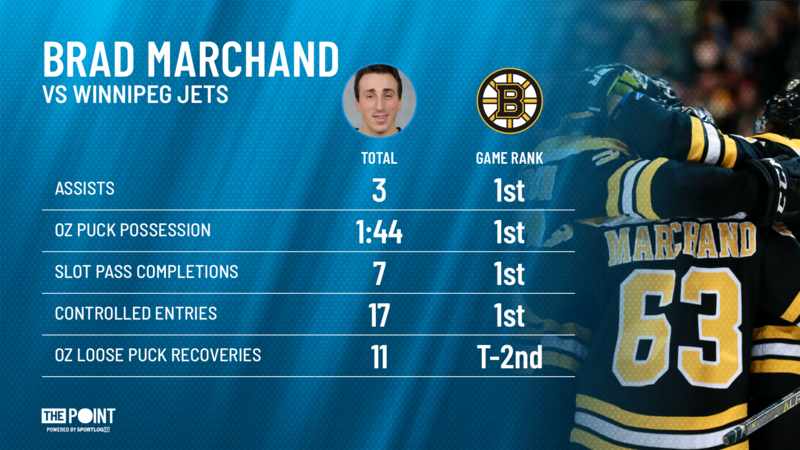 The Bruins came up short last night against the Jets but if there’s one guy that can’t be blamed it’s Brad Marchand. He played set-up man getting in on every goal with a game-high three assists and tied David Pastrnak with the game-high with three points. Marchand set a season-high for himself with 17 controlled zone entries, which was not only the most in the game, it was the second highest number anyone has had this season. 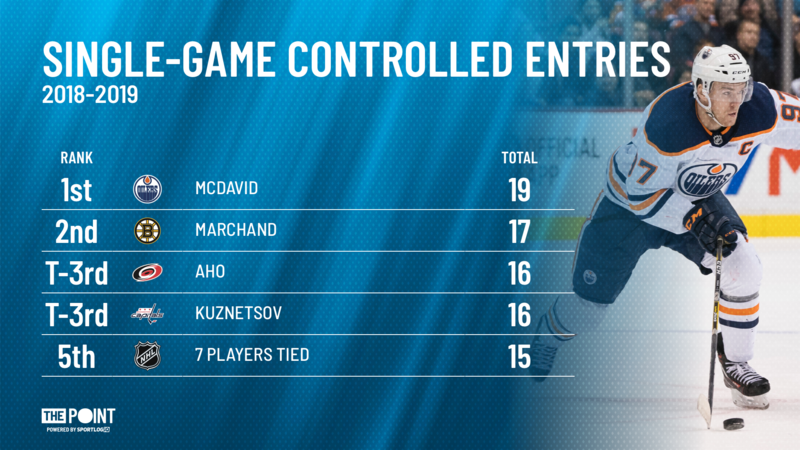 Once in the offensive zone, he didn’t waste those entries, continuing to possess the puck more than anyone else there. Controlling the puck doesn’t necessarily equal creating offense but in Marchand’s case, he made good on his possessions. Marchand had the most slot pass completions in the game, setting up teammates in high-danger areas, and was tied for the fifth most scoring chances. Marchand was hungry for the puck all night and as usual was more than willing to hunt it down, recovering the second most loose pucks. In the end, his team didn’t come out on top, losing in a shootout, but he should hold his head high knowing he gave such a great effort.